Tickets are now available and must be purchased via the National Concert Hall Box Office and all delegates must also register via the form provided: https://goo.gl/forms/WkCbqMRS48FaAc533 The link to the NCH Box Office is provided at the bottom of the registration form. Please click on the link to book your ticket. 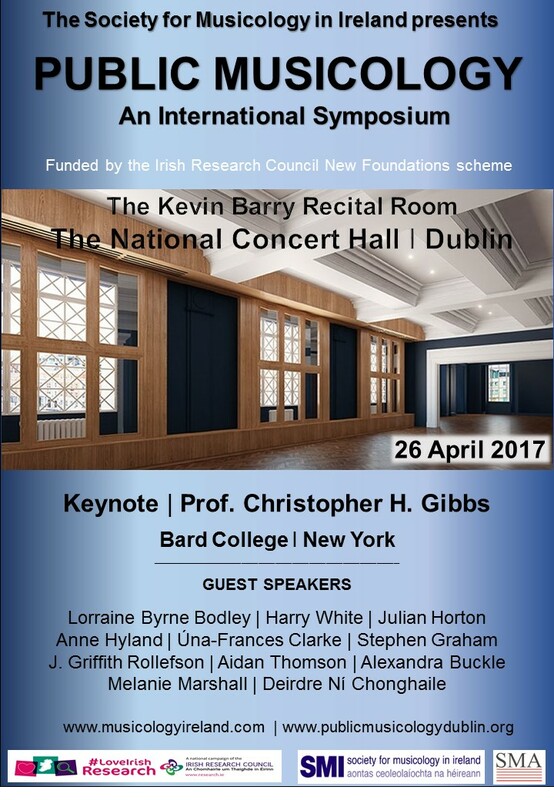 Tickets are €10 which includes tea and coffee and admission to all sessions, including the keynote address by Professor Christopher Gibbs. Students can attend for free but must purchase a student ticket. Please note that there will be a wine reception following the symposium.